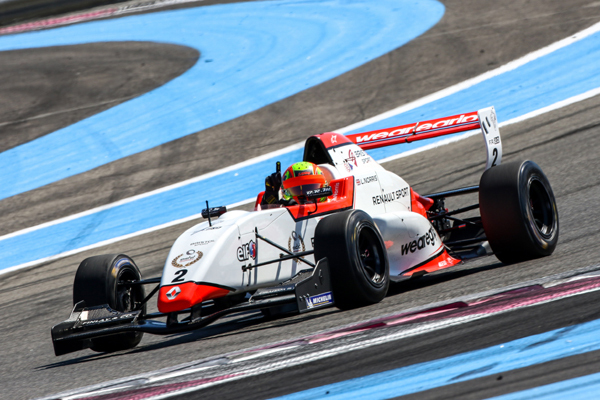 Lando Norris was fastest driver in both free practice sessions. Daruvala was first on P 14 then P 3 and Shwartzman was P 18 and P 9. Qualifying 1: Shwartzman drove a good Qualifying on P 5. Daruvala on P 7. Norris had to pit and change his front wing after he hit a cone and damaged the wing. He still was able to qualify on P 3. Starting Grid for Race 1: Norris P 3 - Shwartzman P 5 - Daruvala P 7. Race 1: The race on Saturday saw Daruvala retire after a contact with another car at the beginning of the race. Robert Shwartzman was fighting for P 5 the whole race untill a small mistake dropped him back to P 7 where he finished the race. In the front Norris was fighting for the lead. 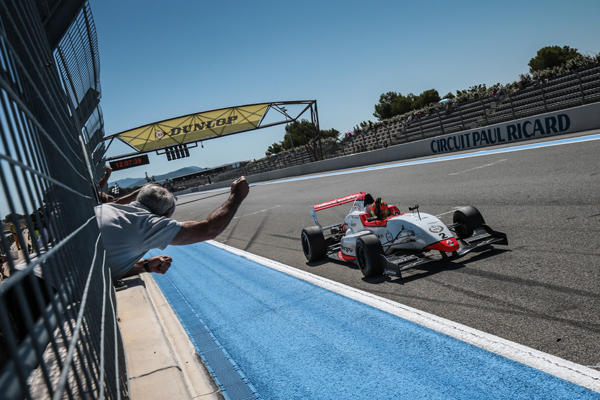 Several overtaking attemps didn´t work out in the end and he had to settle for P 2. Qualifying 2: The second Qualifying on Sunday morning saw Shwartzman on P 12 and Daruvala on P 6. 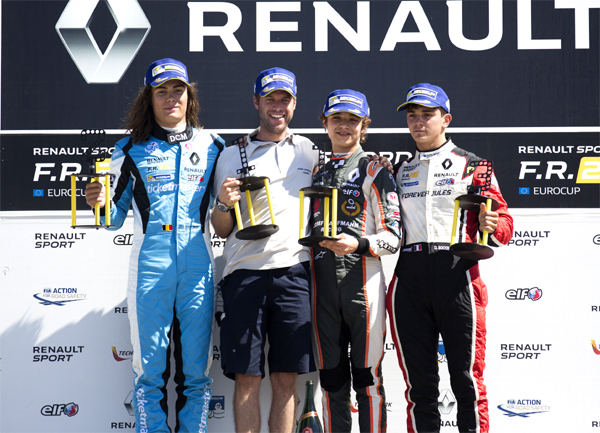 Lando Norris was in control of the action to take a dominant Pole Position. Starting Grid for Race 2: Norris on Pole - Daruvala P 6 - Shwartzman P 12. Race 2: Shwartzman was able to get in the Top 10, but finished on P 11 in the end. Daruvala lost one position in the opening lap and couldn´t gain back any positions during the race, even though he was one of the fastest drivers in the race. He finished P 7. 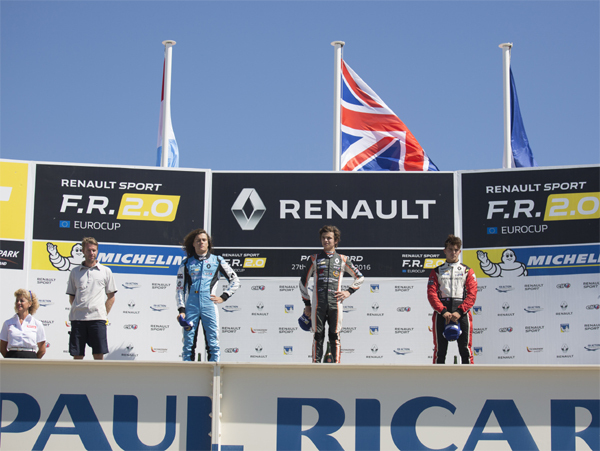 Up front Lando Norris got a good start, kept the lead and drove a perfect race. Each lap he was faster than the other cars and he opened up a comfortable gap to the rest of the field. Norris finally won with a 4 seconds lead to take his fifth victory of the season in Eurocup so far.